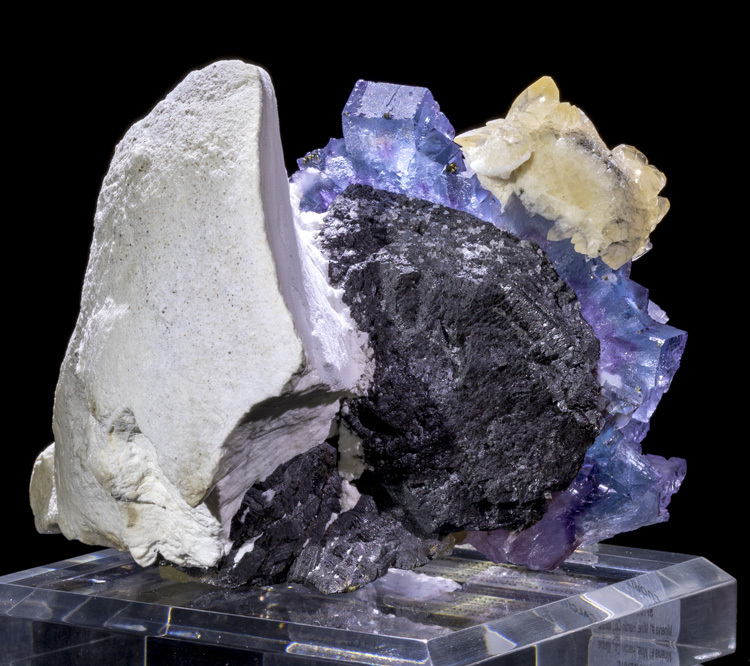 This is the ultimate Cave-in-Rock, Illinois combo piece! 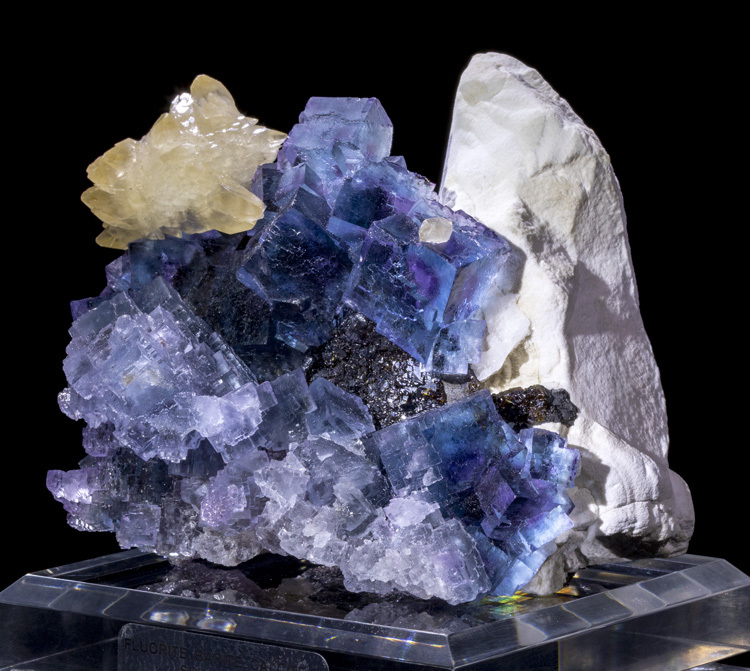 It has everything going for it: Blue Phantom Fluorite, Calcite and Barite on Sphalerite. 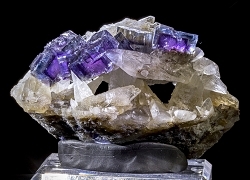 The entire face of the specimen is covered with blue phantom fluorite crystals. 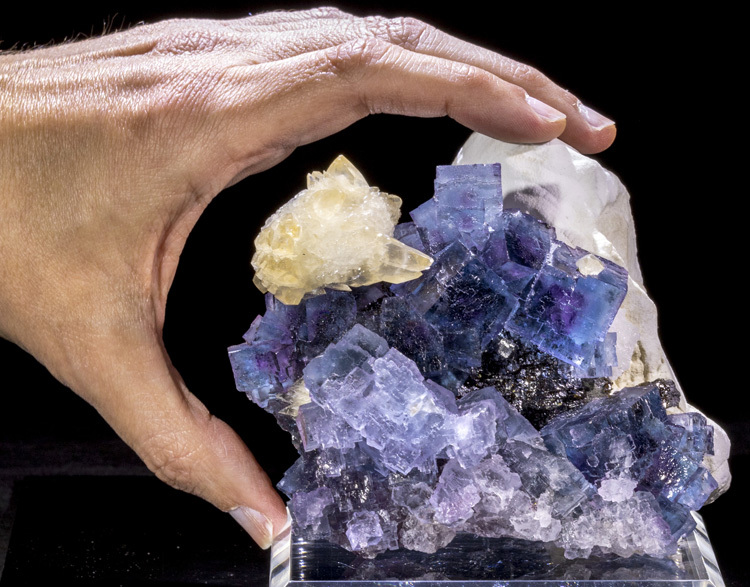 The biggest phantom cube is 2.1cm on it's longest side, and has a nice purple core. 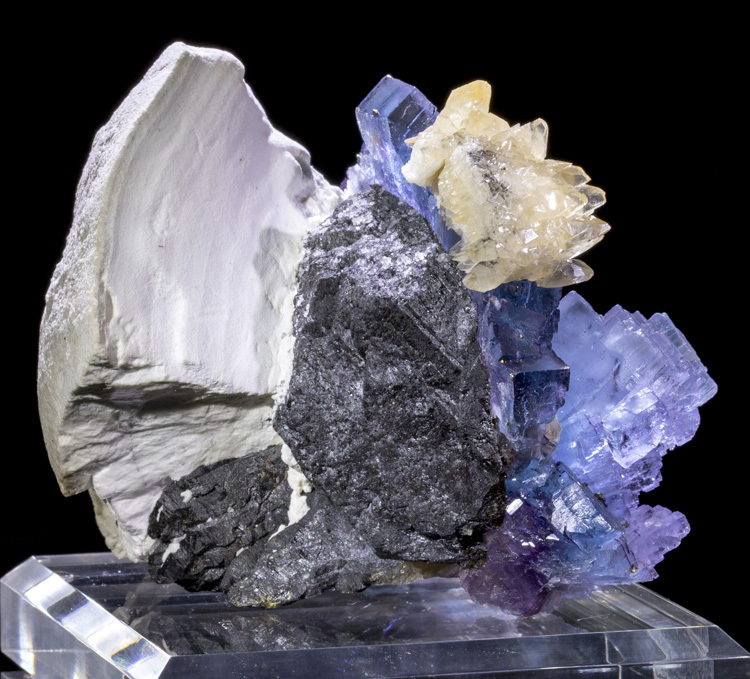 There is calcite in several spots, but the most predominant is the cluster on the top left side which is a pale orange color. 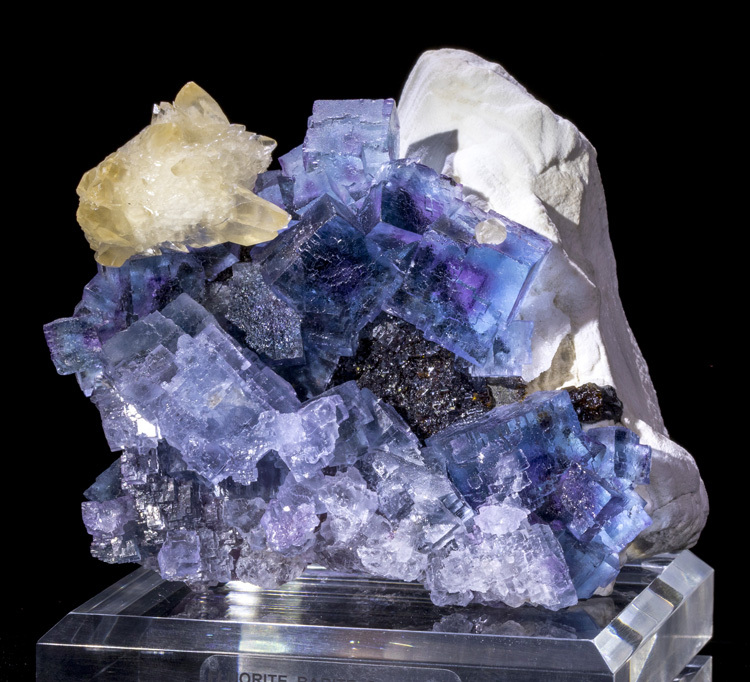 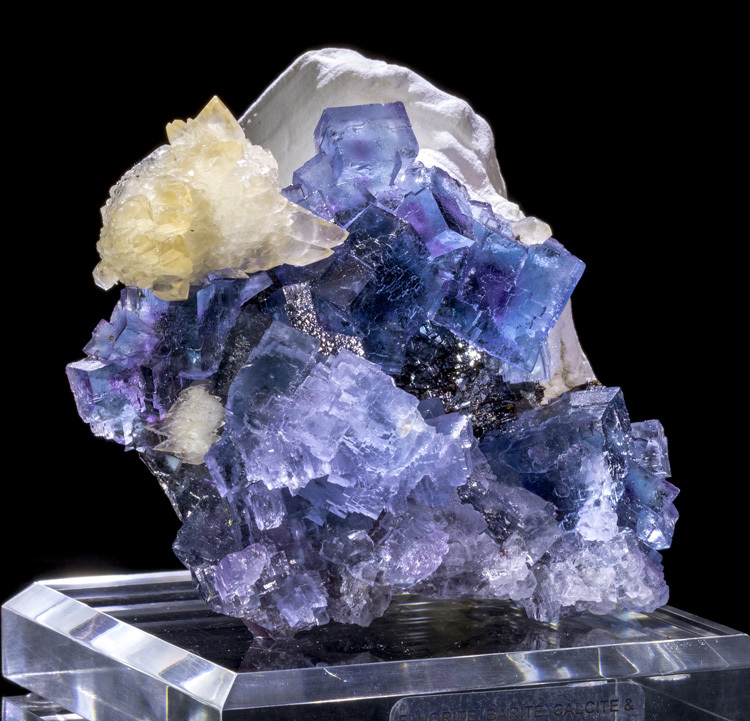 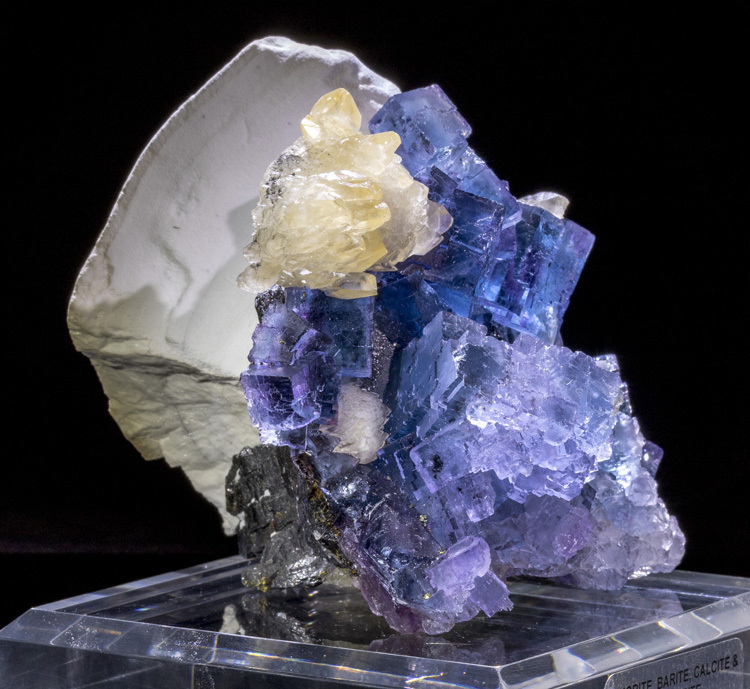 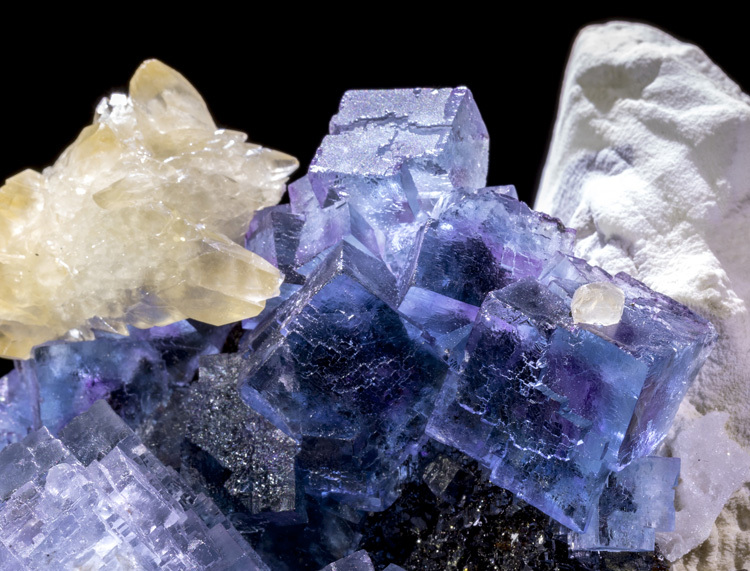 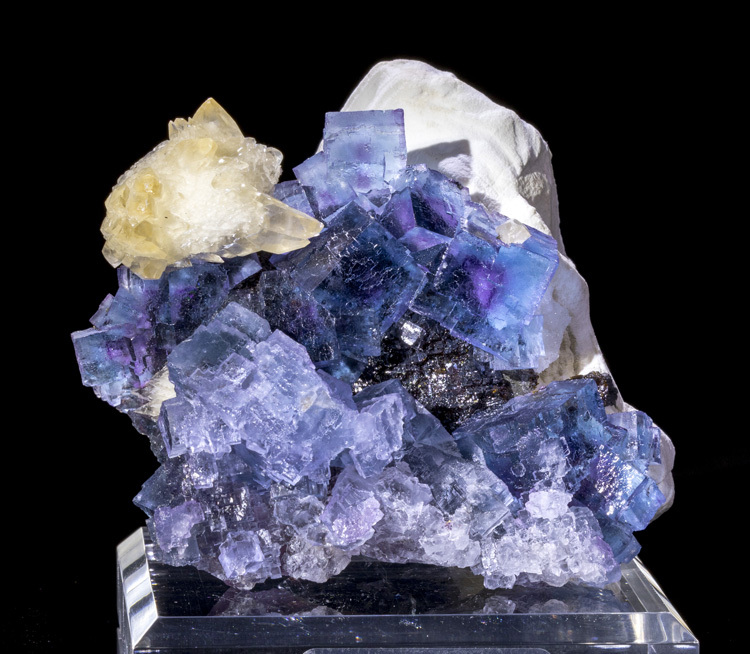 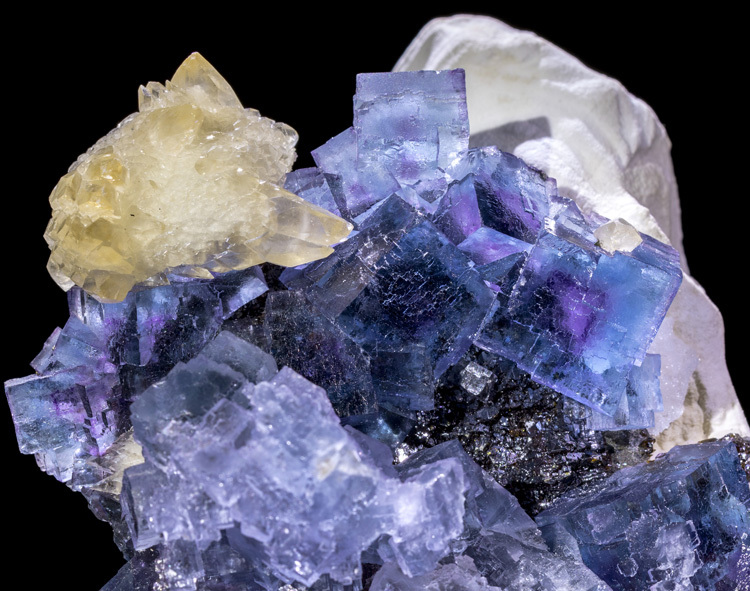 The barite on the backside provides great contrast for the blue fluorite, and all of this is attached to a sphalerite matrix which is mostly visible on the backside of the specimen. 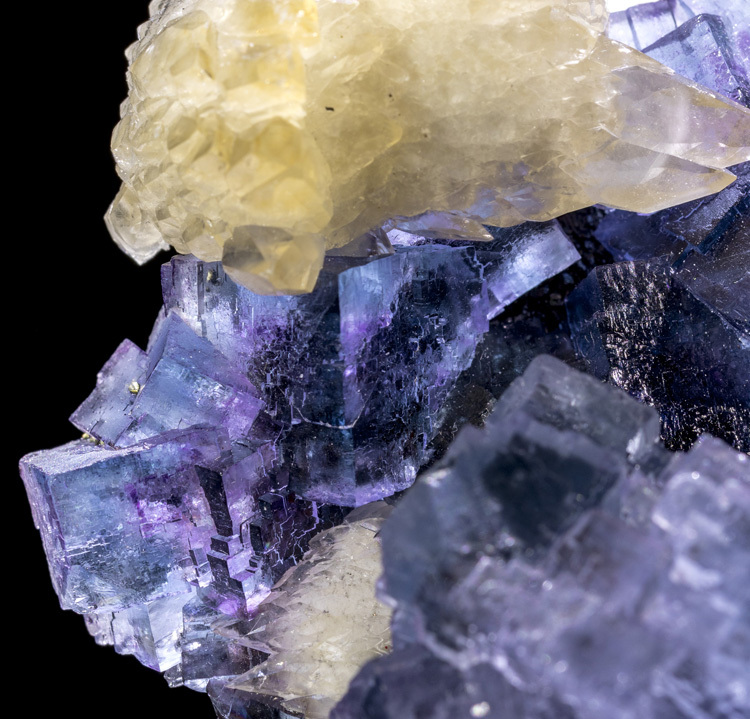 The condition is essentially perfect with no damage or repairs anywhere. 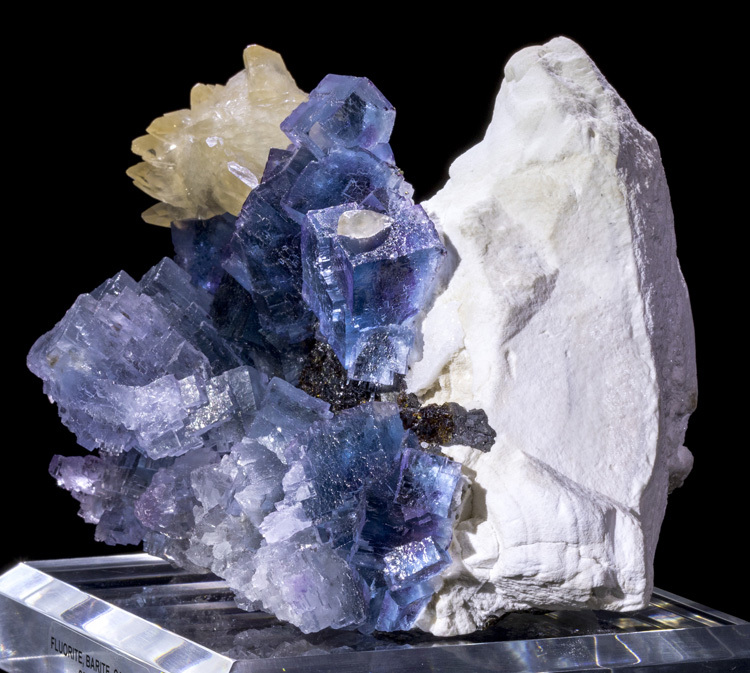 This is a truly incredible find that comes with a labeled acrylic display base.